Mr. Stig Lindberg hails from Hawaii, where he grew up and began his religious praxis in high school. After his freshman year in college, he took a year sabbatical to train as a Christian missionary and to participate in outreaches to Tahiti and Japan. With a bachelor’s degree in Political Science, Mr. Lindberg worked at the Hawaii State Legislature before moving to Japan to begin his teaching career. 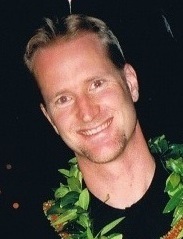 Subsequently, Lindberg spent a year studying business administration at the University of Hawaii’s graduate school of business and doing research in the Journalism department of East-West Center before obtaining his master’s degree in Christian Studies from Kyoto University. His doctoral research focuses on the philosophical theology of Toyohiko Kagawa who was an early proponent of the harmony between science and religion. Secondary research interests include various theories of realism, human security, and global systems.